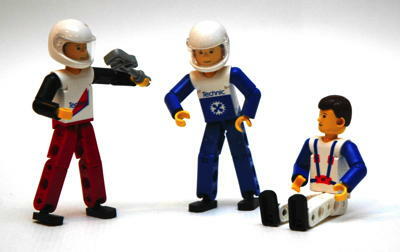 Supplemental Sets were released occasionally over the years (especially the early years) to provide additional parts for people who didn't want to buy new models with instructions. These tended to be small and have a variety of spare parts which were also available in regular sets. In some cases, the supplemental sets had unique parts which couldn't be obtained any other way. 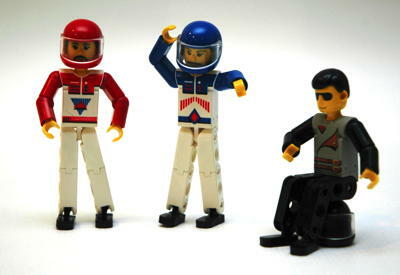 Technic figures were released three times this way. It was also very common for regular Technic sets to have the option to be motorized, with the motor only available as a supplemental set. These sets really can't be compared. As miscellaneous sets, they don't have anything in common.